Conflict is often destructive. Nothing can be more discouraging, painful, and sad then having conflict with someone. Take a look at this true life scenario from one of our team members. Before going into the “rough & tumble” of that day, let’s consider first the elements of healthy relationships. Trust in a relationship is vital. That is not to say that there is never a time when questions, opinions, and words “rock the boat.” But trust means we listen to each other. One listens, and the other speaks. So often in life’s situations, both parties speak at the same time with no one listening. Have you ever had an experience like that? 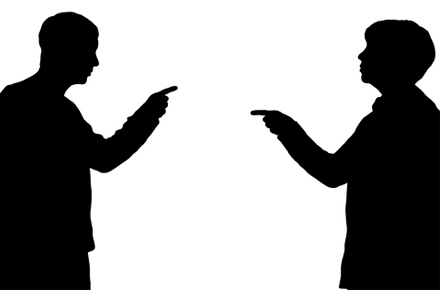 When tensions rise, those in conflict will most often start blurting out offenses causing the other person to become defensive. These types of interactions in conflict accomplish nothing but brokenness. Keep in mind that evaluation can easily slip into criticism. No one can really know another one’s heart or motivation from something said. Take care not to slip into assuming what the other person’s motives are! Trust provides a safe place! We expect confidentiality. We expect to be listened to. We expect what we say to be handled carefully, throwing away at times the “chaff” and keeping the “grain.” Trust allows us to be ourselves without judgment calls. In relationship, trust is protected and felt by both parties, be it boss to associate, friend to friend, or parent to child. Is there ever a place for anger in relationships? We would say, Yes. But by anger we don’t mean blasting the other person “off the map.” Anger can and should be expressed in such a way that the other’s personhood is NOT attacked. In other words express the anger, preserve the relationship! Do you know an angry person? Or are you angry some or much of the time? Why is it anger rears its fearsome head? A good definition for anger is “the ‘juice’ of madness that comes when one feels disrespected, hurt, powerless, even scared, with unmet needs.” In some cases, people are so hurt and angry that the relationship shuts down in order that no more hurt will occur. We can even behave ourselves out of relationships, at work or in the home! Let’s return to the earlier scenario and see how it got even more messy. “I remember my phone ringing one morning, and without consideration of my time and busy workload, my ex-friend and boss abruptly yelled out, “I’ll be over in an hour. We’re going to talk!” What shocking words these were. Granted, we needed a time to talk since tension seemed to have been growing for several weeks. From that conversation on, one inappropriate thing happened after another sending the relationship into a crumbling mess! It didn’t take long for everything to unravel, all those good times, all those conversations, all the supposed respect and admiration were gone. The damage was done…it was like the final nail in the coffin-a supposed friend and boss questioning my very core values and motives. I felt I was living a life of selflessness and care for others, but here I was being accused of selfishness. All those “in confidence” conversations we had during our friendship were used against me and thrown back at me as criticisms. Have you ever had a day like that? Chances are you have. How successful though were you at resolving the situation? Conflict is never easy, but when we follow certain principles of conflict resolution, the damage can be minimized and relationships still preserved. Many bad things happened in our scenario, but let’s highlight three aspects here: boundaries, clarification, and understanding anger. Not once did the accuser give the accused opportunity to clarify or explain. And that wasn’t the last of the bad day scenario. Emails continued to “blast away”! To this present day, the relationship is gone but not the hope that someday friendship will be restored. Probably there will never again be a deep relationship, but time can give perspective, and in relationship the act of forgiveness can never be excluded. Anger is the “juice” of madness. So when anger rears its head, stop, take stock, and then talk to friends or colleagues. Let’s be out to save relationships! Conflict happens. Hey, maybe we should make a bumper sticker. The fact of the matter is we need to be willing and able to navigate conflict effectively in order to work as a team. The healthcare and human services industry is complex and demanding. In order to provide high-quality care, we must be able to work successfully with one another and overcome the many challenges of working with fellow human beings. Our goal here at ClickPlayCEU.com is to inspire you to be the best you personally and professionally so that you can provide high-quality care and services. We just released 4 courses in succession that address some of the topics and difficulties addressed in this blog. We invite you to watch the following 4 courses so that you are able to communicate effectively, resolve conflict, develop positive work cultures, and function successfully on teams. As we’ve said, and as you can see from the true-life scenario, conflict, communication and working as a team isn’t easy. We need knowledge, skills, and practice to navigate the difficult waters of life. Home, work, kids, pets and many other aspects of life can be taxing but if you have the ability to preserve relationships with others no matter what the circumstance, you will be well on your way to being successful in every realm.